Joe recently completed the wiring to the new Naval Academy scoreboard. This while under considerable pressure to beat the seasons football opening game. After thirty years with B & D we value both his dedication & hard work. Jeremy has been with us for over 8 years. As a service electrician his outstanding work among other things has made him to be one of our more requested electricians by our customers. 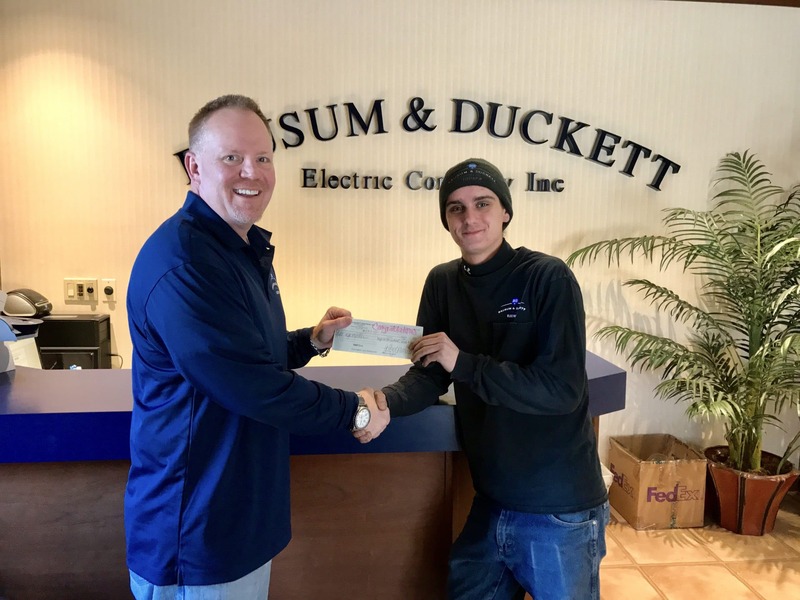 We at Bausum & Duckett Electric LLC appreciates his efforts. Thanks Jeremy! Rich who has been with us coming up on 12 years has worked his way up to a foreman’s position. He is running two projects while also performing the occasional service call without complaint. His performance as a foreman has been outstanding. Congratulations Rich!